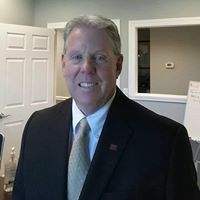 Doing business in the Tri-county area since 1989, Bob Glover Real Estate has been a premier commercial real estate company in the Southeast region. His expertise extends to a wide manner of commercial real estate services, including office and retail management, commercial investment and sales, site selection, 1031 exchanging, and even interior design and remodeling. From private investors looking for a lucrative opportunity, to developers seeking the ideal piece of land, Bob Glover Real Estate is here to answer the call of clients with commercial real estate demands. Bob, a seasoned expert deals exclusively in commercial real estate, in its many facets, including investment properties, development plots, site selection, property management and even interior remodeling. His focus is solely on commercial real estate in Goose Creek, Charleston, Summerville, and North Charleston, SC, meaning he’s your resident experts, no matter your needs. Bob is a Certified Commercial Investment Member (CCIM), representing one of the top credentials in the industry! His business has been family-owned and –operated since 1989 and he has more than 35 total years of experience. He is a Certified Commercial Investment Member (CCIM), specializing in all forms of commercial real estate. He specializes in IRC 1031 exchanges, to help you preserve your investment earnings. His capabilities extend to commercial leasing and property management. His service area encompasses the entirety of the Carolina Coast, into the Midlands. If you’re looking to make an investment in commercial real estate and want access to an investment you can count on, Bob is here to help. Contact Bob today to get started. "I will use them over and over as they are a great company!" "I will always turn to this company to help with my real estate needs!"